Outlook Exress emails with attachments to PDF, DOC, HTML, EML. Convert Outlook Exress emails with attachments to PDF, DOC, TIFF, HTML, EML. Ever wanted to back up your emails from Outlook Express to your hard drive? 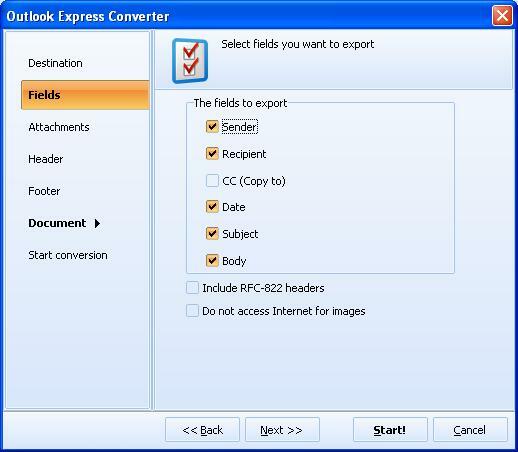 Total Outlook Express Converter Pro is the ultimate solution. It synchronizes directly with your email storage and fetches emails for conversion. You may get PDF, DOC, TXT, TIFF or EML copies of your emails. Don't worry, the original emails will be intact. 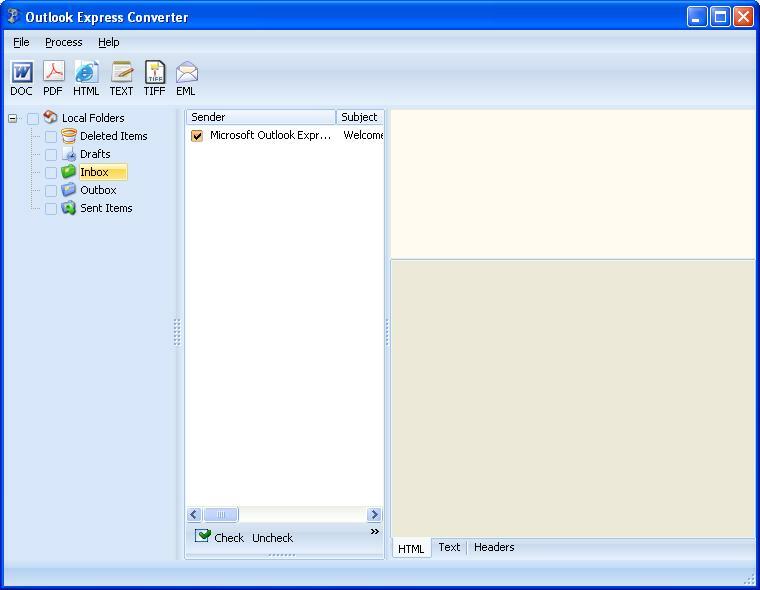 Total Outlook Express Converter Pro is unique - it can convert attachments as well! All other email converters just save attached documents while it's far better to have them all in one format. 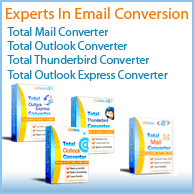 Total Outlook Express Converter converts emails in batches. Set the whole Inbox to be processed and get the new files in minutes. Attached files can be converted or saved in original file types, up to you. Output files can be renamed or numbered. There are many additional options to suit every need. 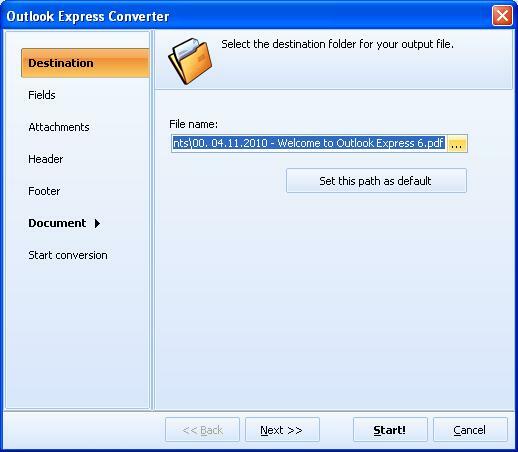 Total Outlook Express Converter is very user-friendly. You follow the instructions and it does the job for you. Try the free evaluation version now, just hit Download button below. "All is good so far. I find the Total Outlook Express Converter Pro very easy to use and extremely fast, thank you."